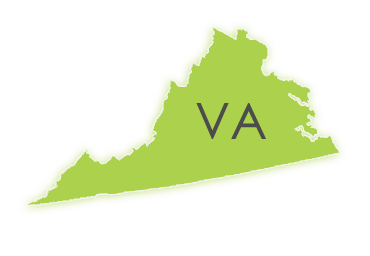 Let us show you how easy it can be to find the highest qualified Court Reporters in Virginia. Discovery Litigation Services takes the guesswork out of finding and vetting stenographers. With over twenty years of firsthand experience in court reporting on a various cases and case sizes, the Discovery Litigation Services team not only provide immediacy in booking, immediacy in providing transcripts, but our court reporters utilize their vast knowledge of the industry to get you what you need in order to run a decisive and efficient deposition. With Discovery Litigation Services, your Virginia court reporter is just a few clicks away. With our video-enabled streaming solutions, your Virginia court reporter is ready when you are. No longer do you have to wait on the timing of an individual traversing the city in rush hour traffic, or trudging out to a remote location. Discovery’s reliable, technological solution beams the court reporter anywhere you need. You need friendly court reporters who know the difference between Affirm and Sworn. Finding a Virginia court reporter isn’t enough. Your deposition needs the experience of a seasoned professional. Because of our optimized streaming technologies, we pull from a network of highly qualified court reporters - not just those who are close to the deposition location. After tracking down, interviewing, vetting, and scheduling a stenographer perhaps you’re thinking, “There has to be a better way.” There is. Discovery Litigation Services simplifies the process. All you have to do to begin is click “schedule a deposition” now. With Discovery, you have more power and more tools than just easily booking a court reporter. Here, you can radically bolster your case by putting the Discovery Litigation Trial Presentation Team on your side. Is Your Staff Up To The Task? As we place the most comprehensive litigation services in your hands, we are driven to simplify the process. Discovery Litigation Services will build your team. We will provide you with the legal support staff needed to bring your case to a resolution. Discovery Litigation Services supplies you with high-quality document review attorneys skilled in various eDiscovery Software platforms, and are well experienced in the discovery process. Our document review attorneys go further. Discovery Litigation Services will happily supply you with highly qualified project managers, paralegals, coders, and translators that best fit the demands of your case. We can even provide free conference rooms in a variety of cities across the United States. Discovery goes above the rest to avail you with the tools, services, solutions, and expertise your deposition requires. Get the right experts for your case anywhere, every time. No location is too remote for Discovery Litigation Services. We pride ourselves on supplying you with A-list personnel, and the expertise of skilled legal professionals everywhere in America. Put a qualified team of attorneys, court reporters, interpreters, and multimedia experts to work for you with a click of the mouse.